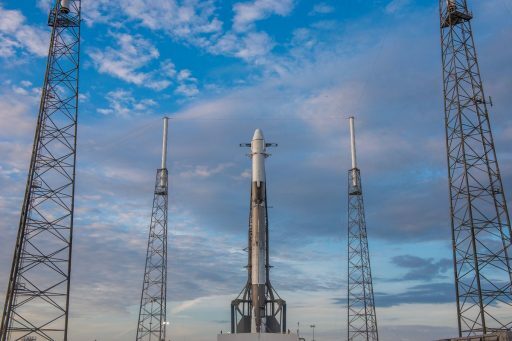 SpaceX's fourteenth operational Dragon resupply mission to the International Space Station is targeting liftoff at 20:30 UTC on Monday, April 2nd from Florida's Cape Canaveral atop a flight-proven Falcon 9 rocket. Dragon - flying its second mission after supporting CRS-8 in 2016 - is set for a ten-minute ride atop the two-stage Falcon 9, conducting its sixth launch of the year. SpaceX will not attempt to recover the first stage, though continued testing of its return sequence can be expected after separation from the second stage. Dragon SpX-14 is loaded with 2,647 Kilograms of cargo headed to the International Space Station, including dozens of experiments to be conducted by the Expedition 55/56 crews. Riding in the trunk section of the spacecraft are three external payloads - ASIM, the Atmosphere-Space Interactions Monitor attempting to decipher the processes ongoing between the dense atmosphere and near-Earth Space; MISSE-FF, offering a new state-of-the-art exposure facility for commercial materials science in space; and a spare pump module for the Space Station's cooling system. Also riding on board the Dragon is the RemoveDebris satellite - set for an innovative demonstration of active space debris removal technologies.